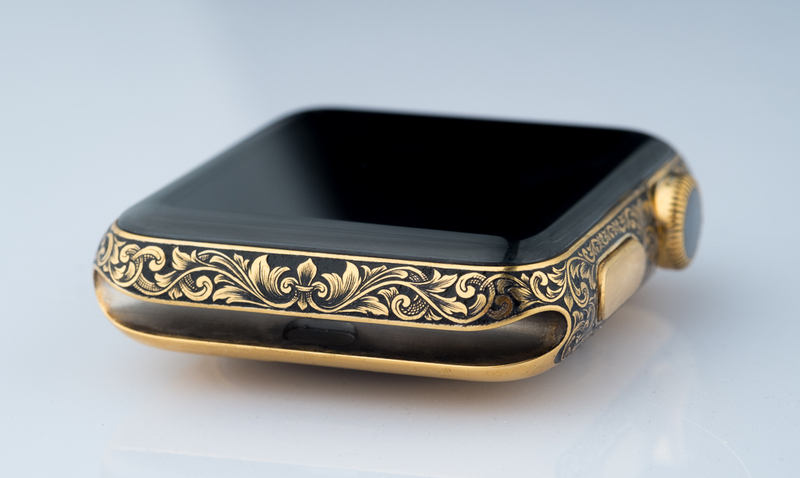 The next Apple Watch engraving, they’re pretty fun things to do, what can I say. 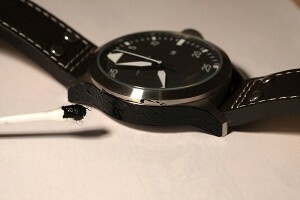 I also got myself a 3D printer recently and used that to print fixtures for holding the watch in the vice, so that screen and buttons wouldn’t get damaged. Worked out beautifully. Here’s the in progress view with 3D printed fixtures. 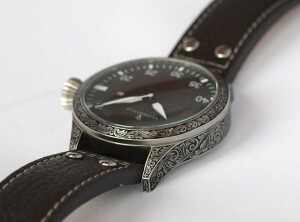 Lew & Huey is a very cool watch microbrand and I got to engrave one of their “Acionna” preproduction models. 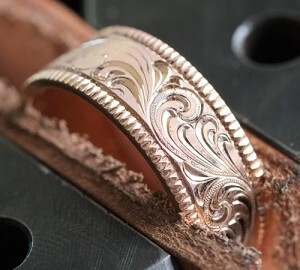 Client requested it in Celtic style, as Acionna was celtic water goddess, a fitting style. 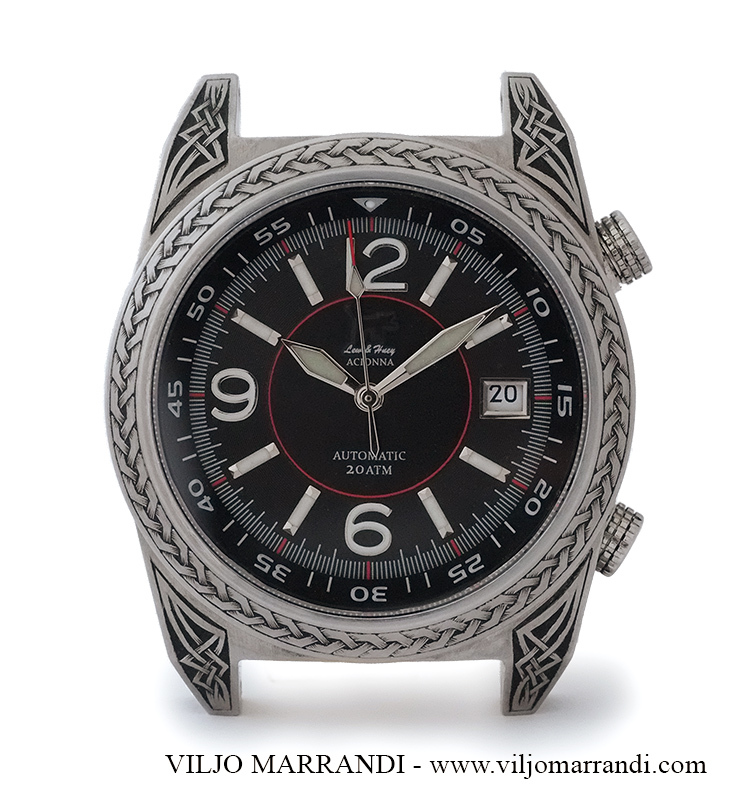 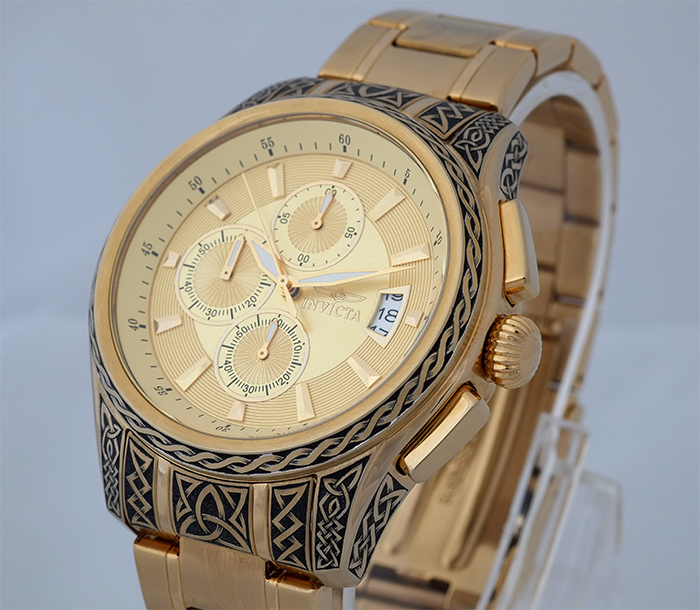 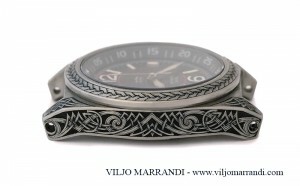 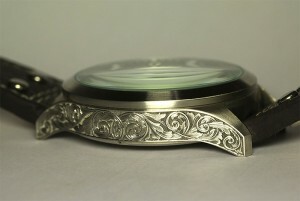 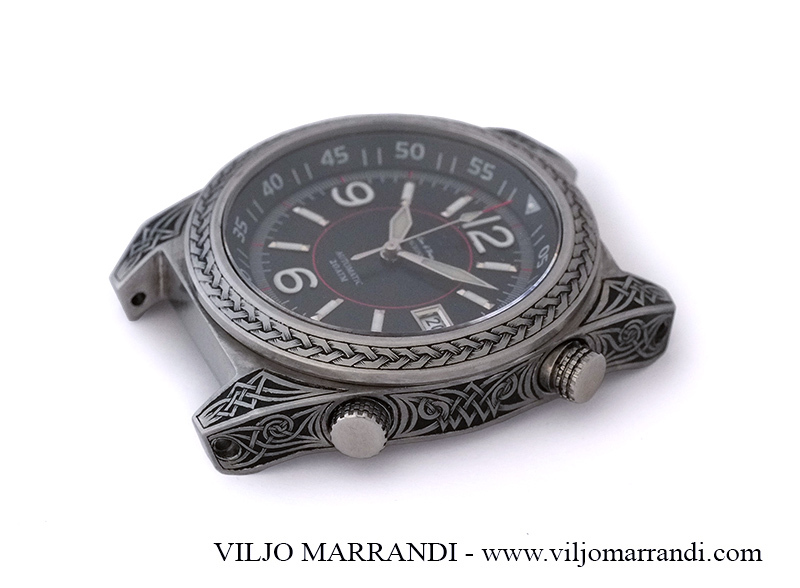 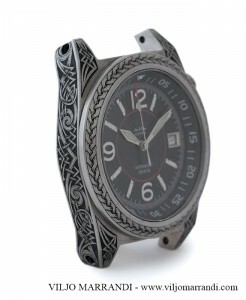 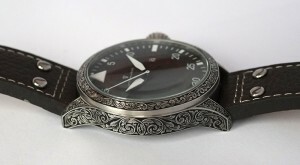 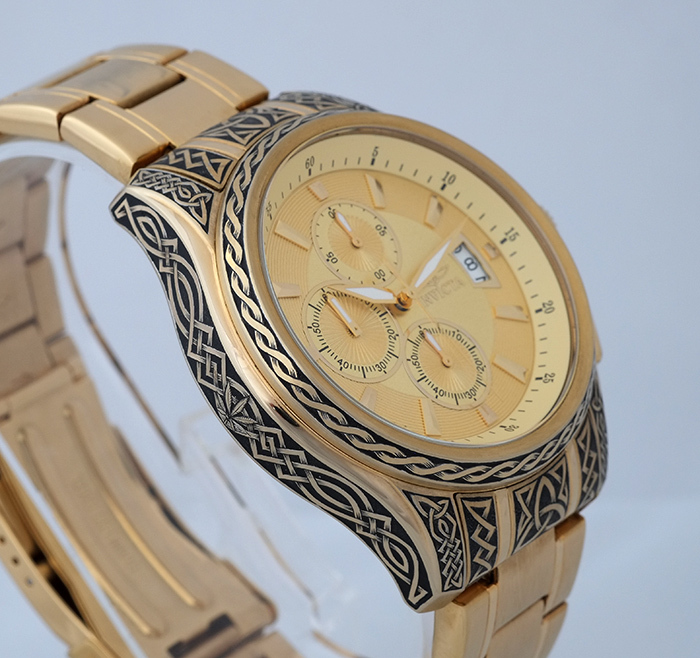 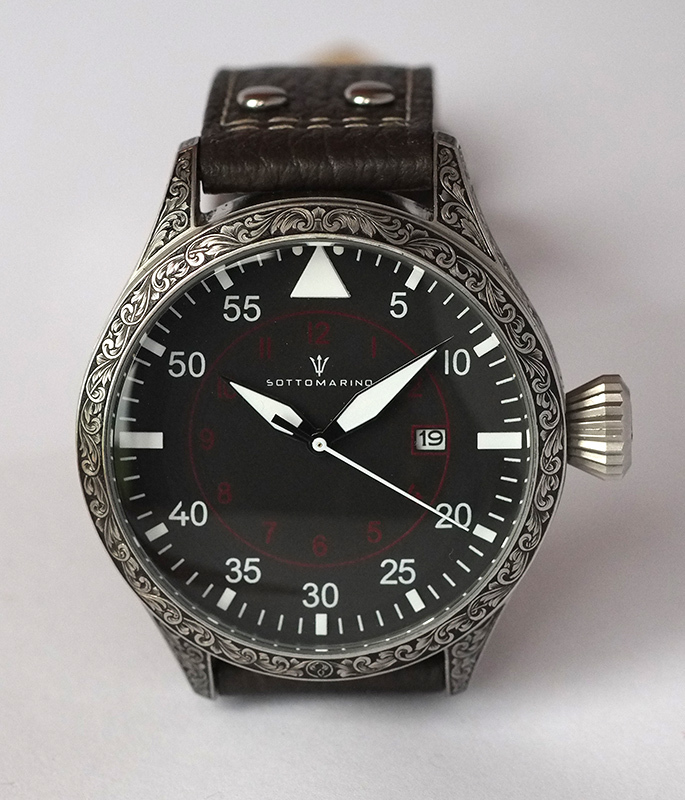 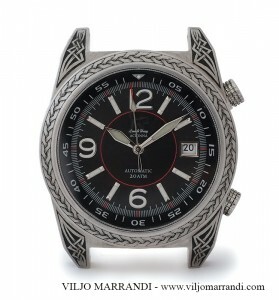 Probably the only classical Celtic pattern on the watch is the bezel with 3 intertwining strings, rest was made up. 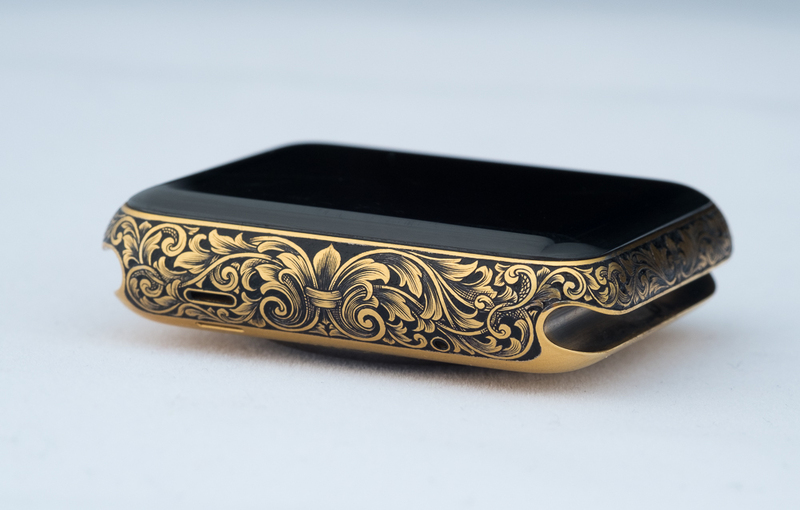 One of my recent projects – fine line engraving on an Apple Watch. 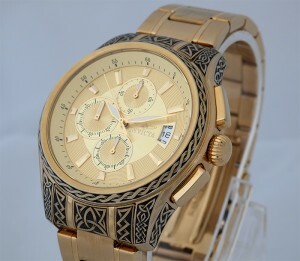 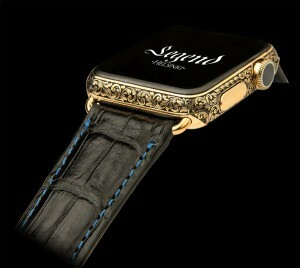 The watch itself is a gold plated stainless 38mm version of it. Gold plating and custom crocodile leather straps are done by Legend in Finland. 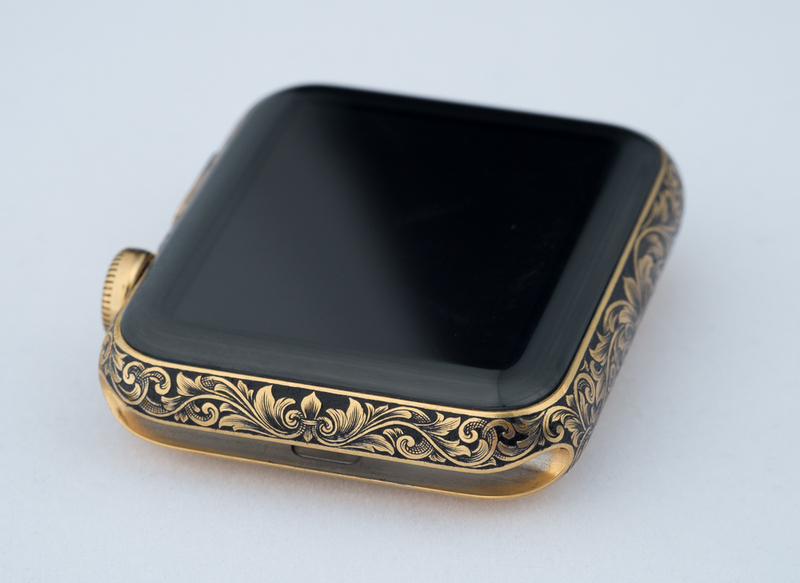 I must add that even under the microscope the build quality of the Apple Watch is really-really good. 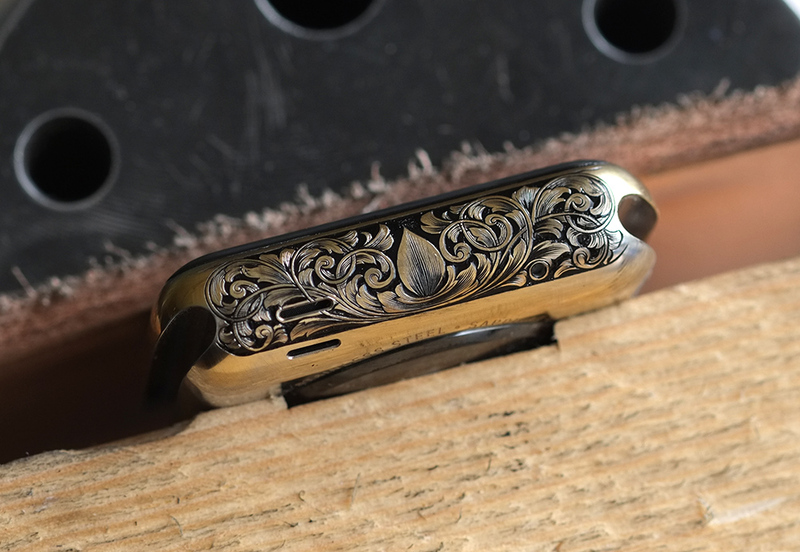 Everything is finished properly, fit and finish is just superb. 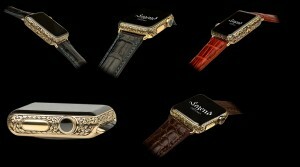 Watch band mechanism is very simple and well thought out. 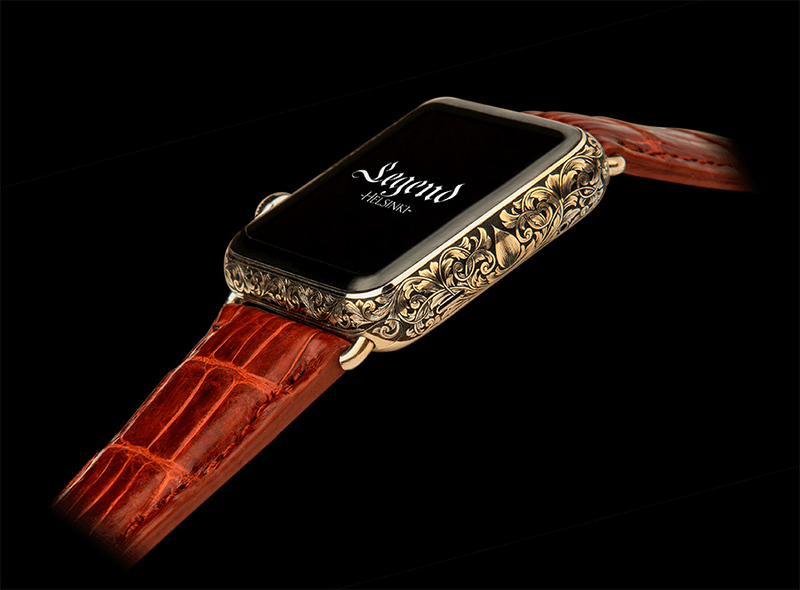 And if you want to stand out from other iWatch wearing crowd, then there’s no better way to do it by having it engraved. Now that you’ve seen all the pretty photos, here are a few from the work in progress phase. 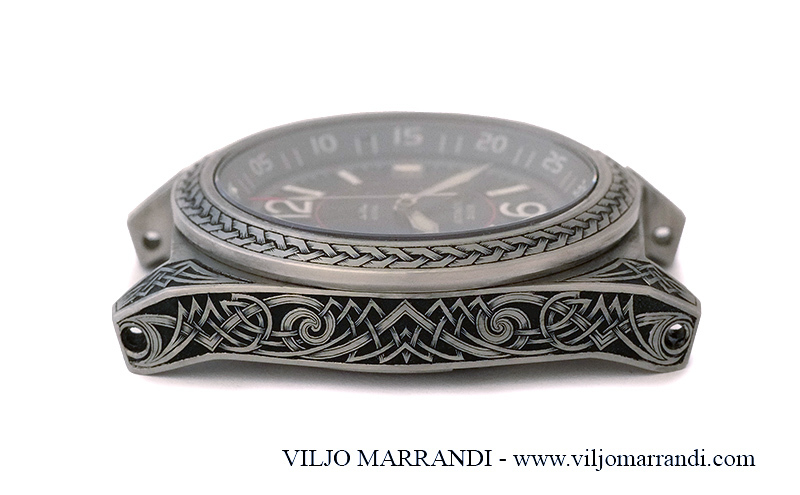 An interesting and challenging project in Celtic knot style. 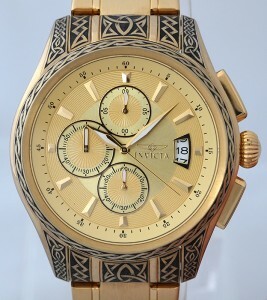 “Invicta” 1484 Specialy Collection Chronograph. Challenge was twofold. I haven’t done much Celtic style before, so it was totally new “language” to me. 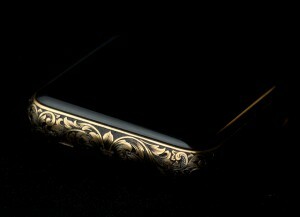 Secondly, the case was very hard stainless steel with gold plating. 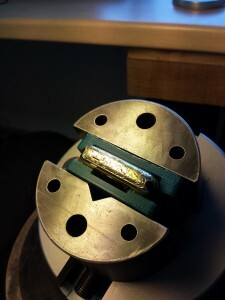 Hardness meant that it broke quite a lot of graver tips and gold plating meant, that absolutely no mistakes allowed. 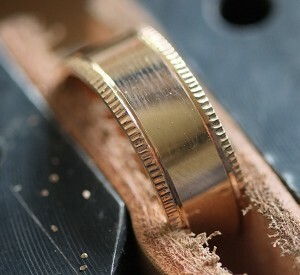 When you scratch or slip in the gold plating, there is no real way to fix it. 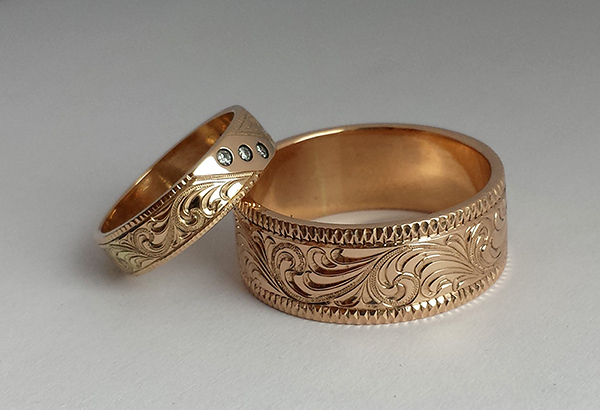 Solid gold wedding rings engraved in bright cut style. 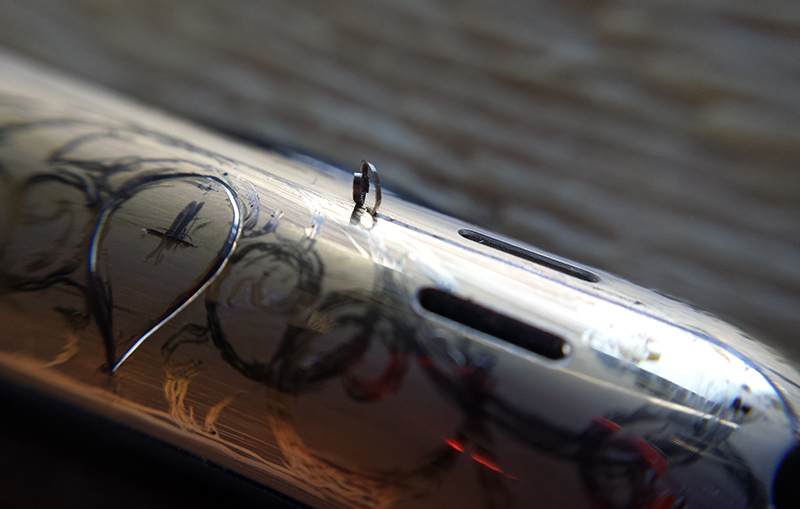 Some mandatory in-progress photos too. 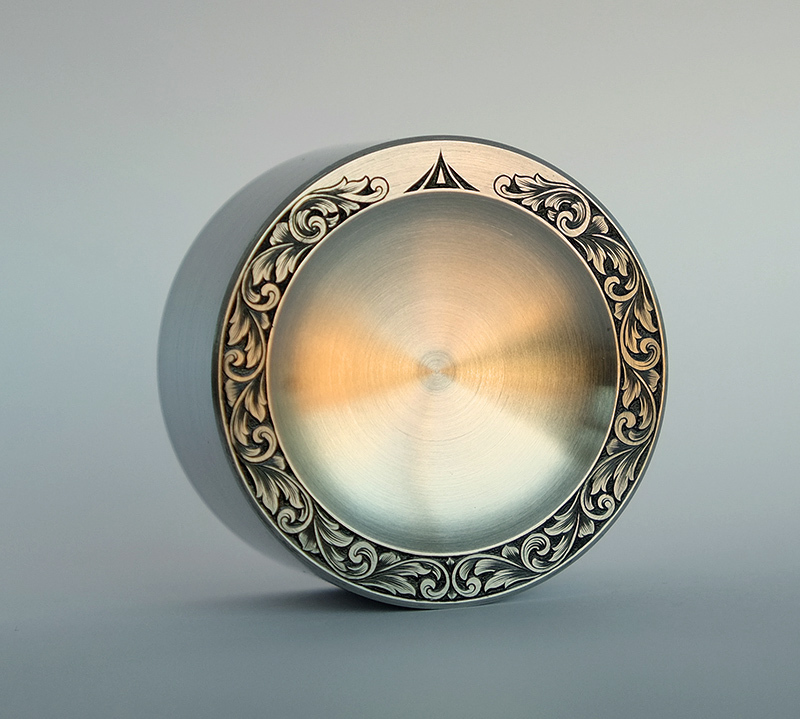 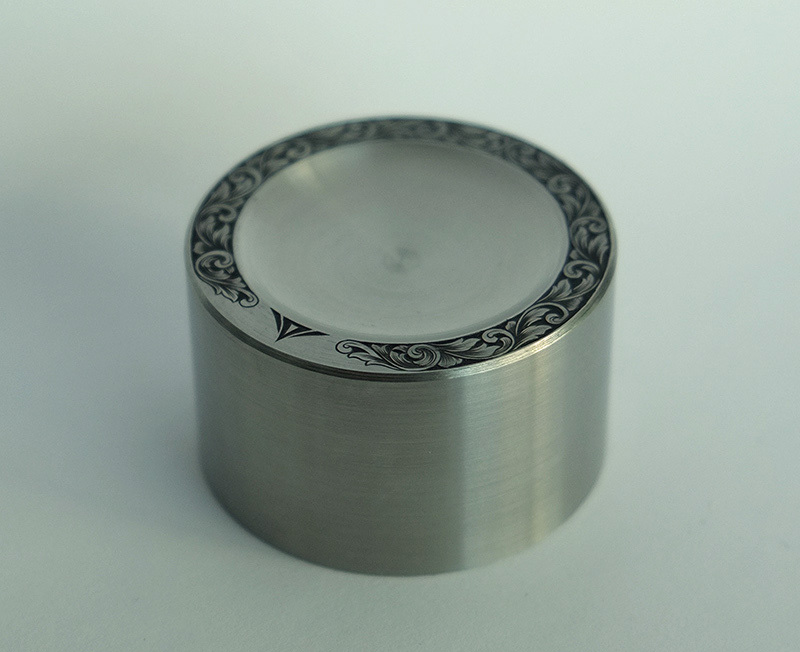 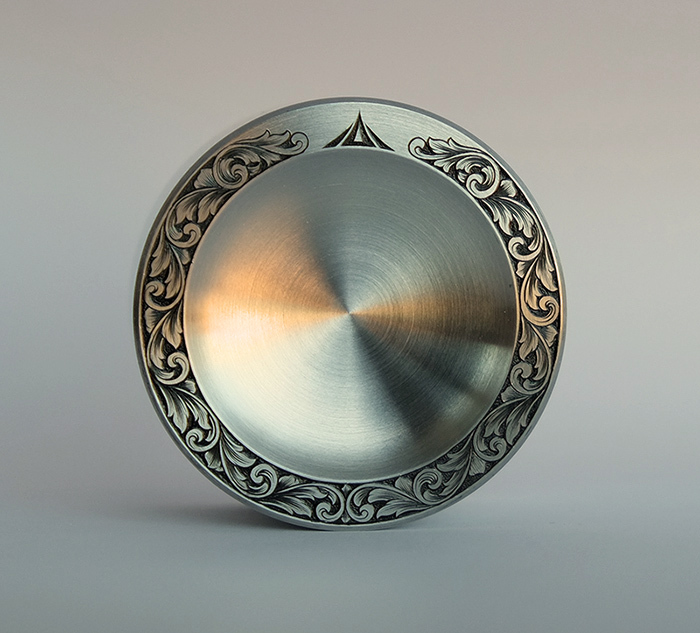 Amplifier knob with engraved scroll border and indicator. This project has been in the making since November 2013. Although in the end I spent 4 full workdays on it. Times have been busy, hour here and couple there is how it’s been. 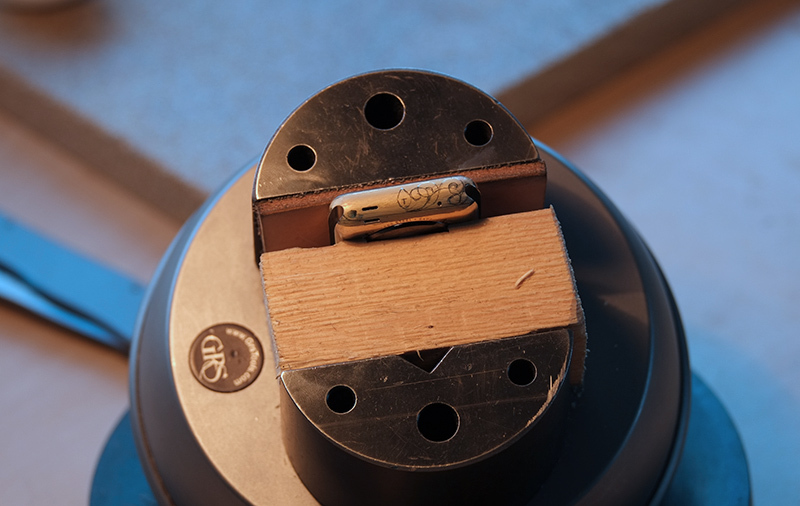 So, the journey from start to finish in photos. 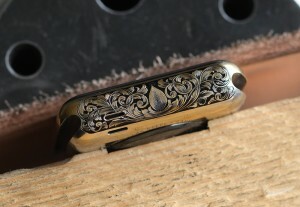 Applying ink to the engraving. 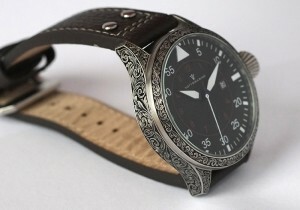 This is how the completed watch looks like. 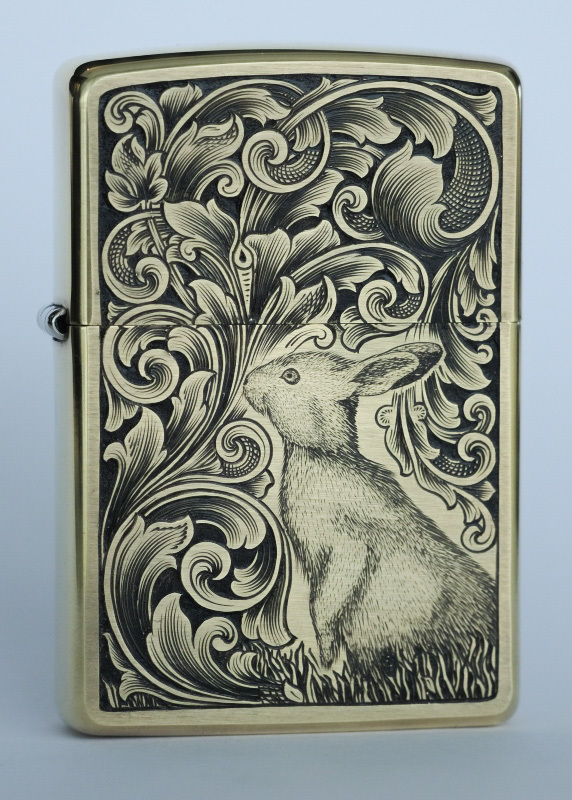 When client wants a rabbit on a Zippo, client gets a rabbit on a Zippo. 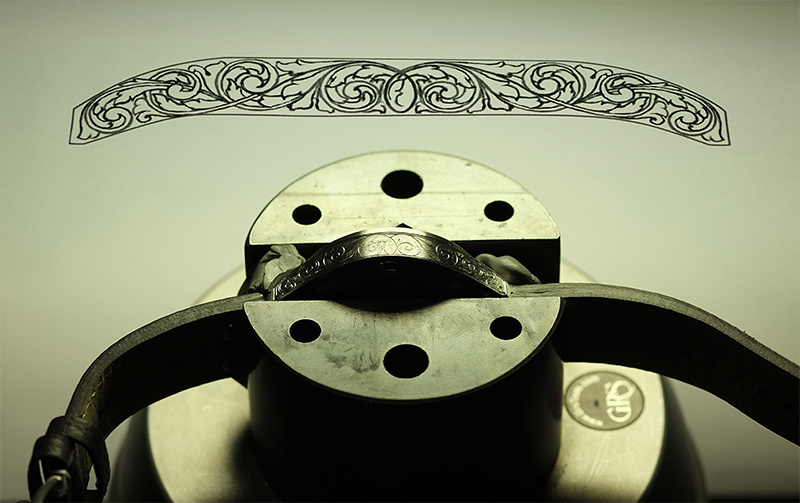 Plus bunch of scrollwork. 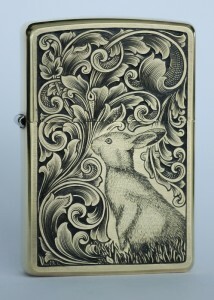 Interestingly enough, the rabbit wasn’t too hard to engrave. 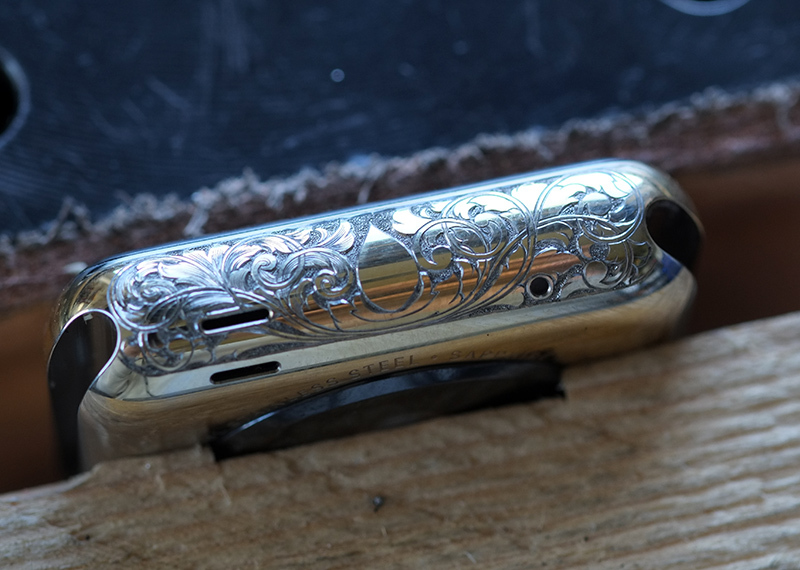 Just had to follow the flow of fur and everything fell nicely into place. 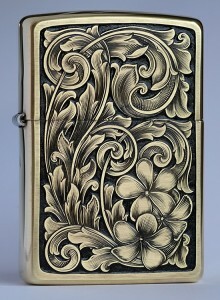 Here’s my latest Zippo, version 18. 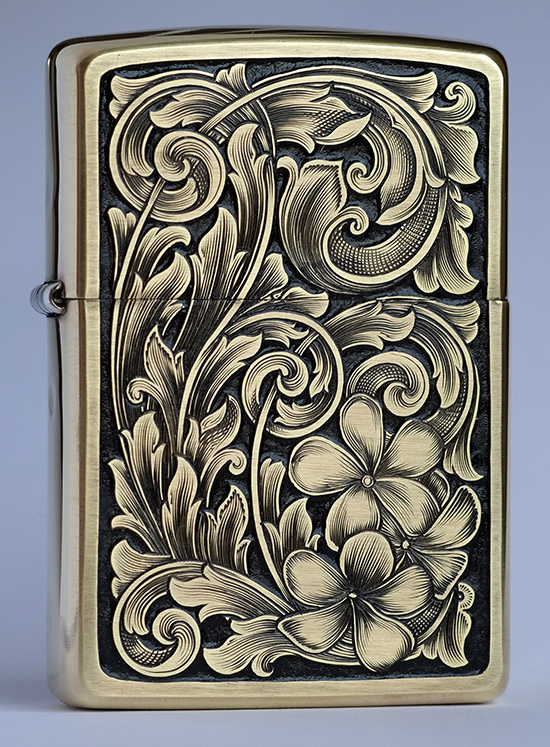 Customer requested to have Plumaria blossoms in one corner and to fill the rest of the Zippo with scrollwork.